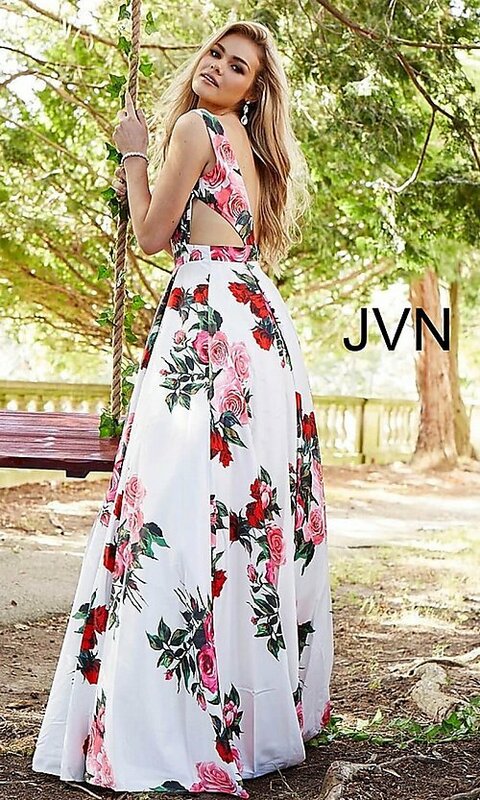 Here's a long deep-v-neck floral-print formal dress from the designers at JVN by Jovani. A unique statement-making style for prom, a black-tie gala, or another formal event, this designer evening dress is effortlessly elegant. 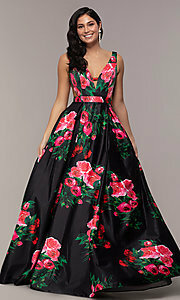 The beautiful botanical print is vibrant and boldly contrasts against the white background. The deep v-neckline of this long dress is mirrored by an alluring open v-back detail. Stunning side cut outs add to the captivating style of this formal dress. 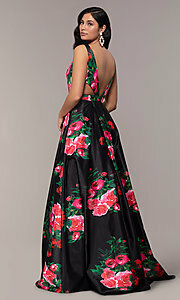 Beginning at the natural waistline and skimming the hips as it falls to a full floor length, the a-line floral-print skirt is a twirl-worthy, beautiful addition to this long sleeveless dress. 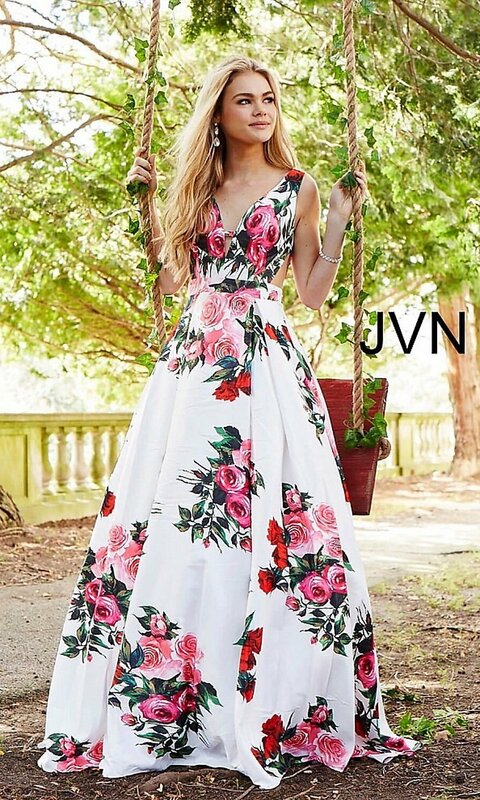 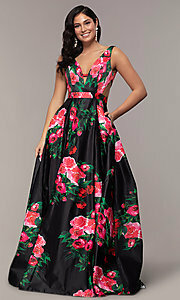 If you wish to showcase your fashion-forward style at prom, a pageant, or a black-tie gala, simply slip into this long deep-v-neck floral-print formal dress. The model wearing white/multi is 5'9.5" and wearing 6" heels.